Levin’s new alternative single is a fascinating acoustic tune that’s driven by an extraordinary blend of the acoustic guitar, synthesizer and piano. The track uniquely entices its listeners to experience every situation, like listening to music, as it relates to them, and freely attach their own feelings to the experience. 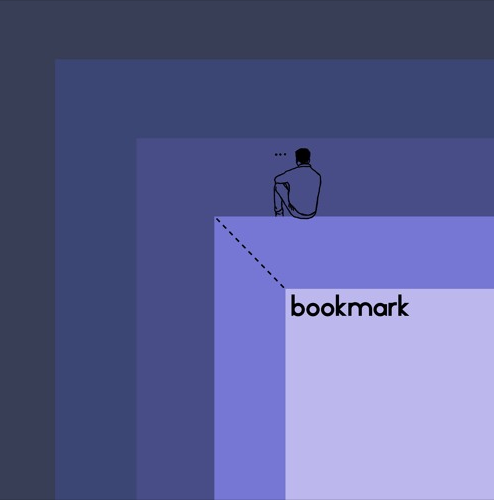 ‘Bookmark’ also stunningly and perfectly embodies the overall feeling of ‘A General Air of Regret’s overall message that whenever someone goes somewhere new, they’re never truly alone amongst humanity. The musician also prolifically reminds his listeners during his latest single that even though people may experience intense emotions during their high and low moments, most of their lives happen somewhere in the middle of those two periods. The singer sentimentally remembers the time he has spent with his family during his earlier years throughout ‘Bookmark’s narrative, before delving into contemplating where he’s currently situated in his life. He vulnerably admits that he’s hoping that something will change in his life, as he feels that he’s wasting away. While he realizes that he’s stuck in his current moment like the title bookmark, he also knows that he has a future journey to embark on and embrace. Admitting that he can heal if he places his heart on the line is sure to make the edgy song a hit single on the adult contemporary charts. For more information on Levin, visit his SoundCloud, Google Play Music and Spotify pages.